Whether in the market for the high-tech electric efficiency of a 2017 Volt or the sporty performance of a 2016 Impala, Grand Blanc and Flushing area drivers will find the ideal combination of function, comfort, and style in the Chevrolet sedans available at Patsy Lou Chevrolet. With their bold designs and state of the art amenities, these automobiles provide a thoroughly modern driving experience. Are you tired of being stuck in the past? Then take a ride in these cutting-edge marvels and check out just what the future of automobiles holds. Chevrolet has proven time and again that it knows how to make a good looking car, but this new season of sedans represents a bold step forward in their design ethos. From the windswept curves of the 2016 Malibu to the sculpted dynamism of the 2016 Cruze, every model offers its own distinct look to fit its feel and feature set. 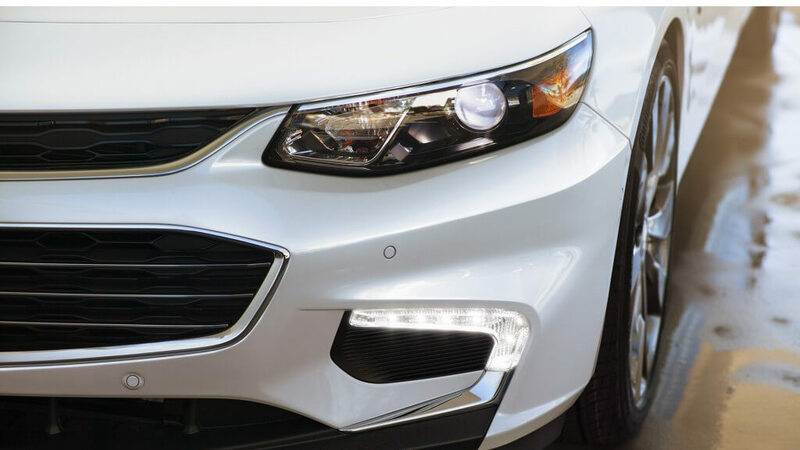 This style is emphasized by the other carefully crafted touches that make a Chevrolet a Chevrolet, including available LED daytime running lamps and tastefully etched character lines. So no matter which sedan you choose, you can count on turning heads as you drive it through town. In the realms of fuel efficiency and smooth, controlled power, no other manufacturer matches Chevrolet’s impressive powertrains. For the eco-conscious (or budget-conscious) driver, the 2017 Volt offers one of the most advanced electric engines out there, capable of up to 53 pure electric miles and up to 420 miles on a full charge and a full tank. In fact, with regular charging, projections show the Volt able to drive up to 1,000 miles between fill-ups, almost making the gas pump a thing of the past. And if you?re interested in a sportier experience, the 2016 Impala offers a 3.6L V6 engine capable of 305 hp performance, while still delivering a respectable EPA-estimated 29 MPG highway. Combine this with premium electric rack-and-pinion steering and the available variable-effort feature, and you have a smooth vehicle capable of carving up the road with ease. For Flint drivers who demand modern elegance from their vehicles, the lineup of Chevrolet sedans at Patsy Lou Chevrolet are right up your alley. Come out to our dealership, located at 5135 Corunna Road in Flint, and take one for a test drive today. And if you have any questions about the sedans or any of our other quality Chevrolet vehicles, contact us online or give us a call at (810) 732-7500.